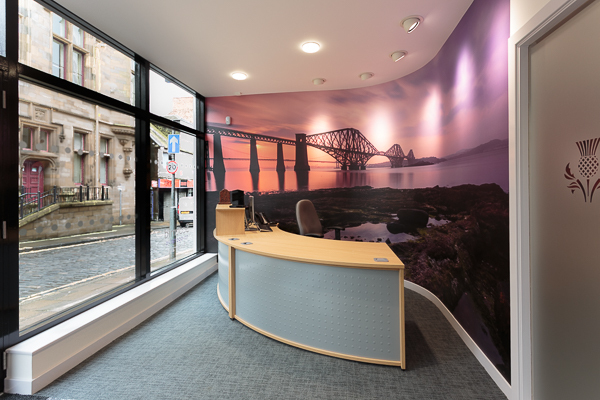 ANOTHER Scotmid Funeral Directors premises has been completed by Pacific – and it won a ringing endorsement from the client company. 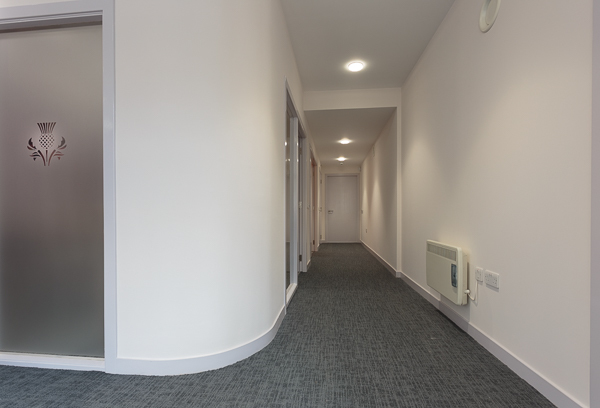 The project took nine weeks and ended with the handover to the client on March 10, 2017. 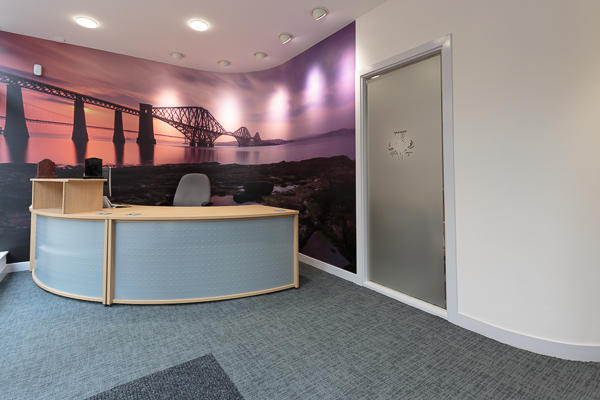 James Blackburn, Head of Scotmid Co-operative Funerals, said: “We’re extremely pleased with the standard of work and the end result consistently delivered by Pacific at our funeral offices. 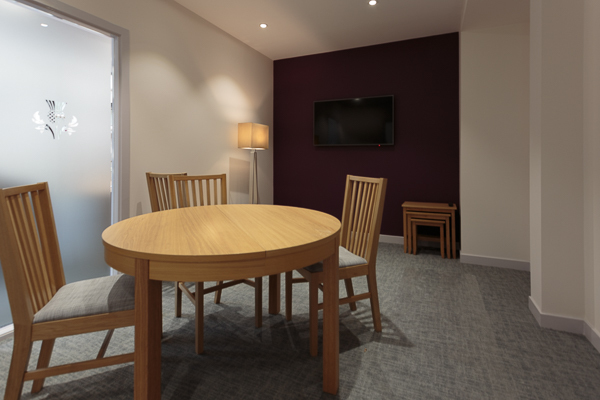 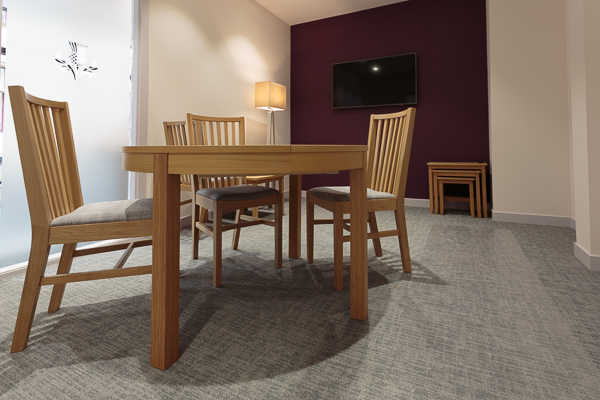 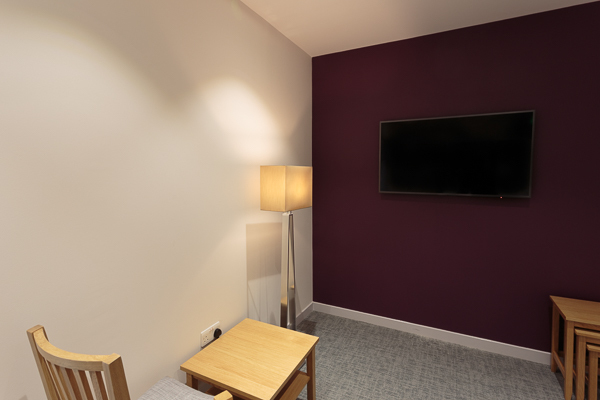 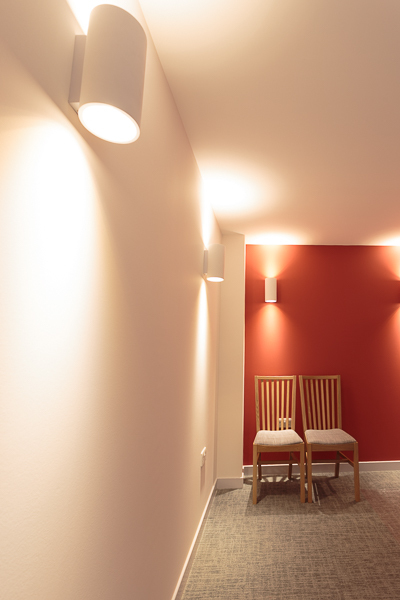 “We have always found Pacific to be very professional, amenable and efficient – helping us to carry on completing our role caring for families during refurbishments. 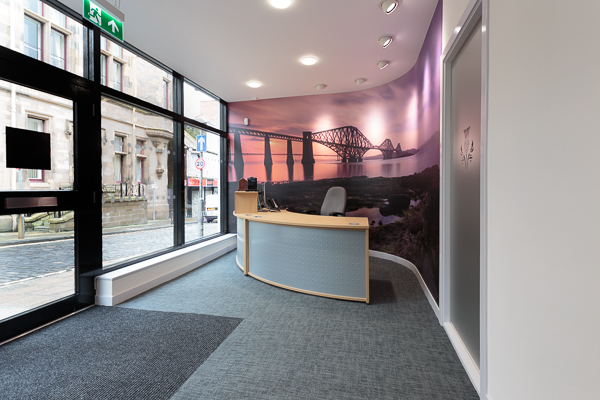 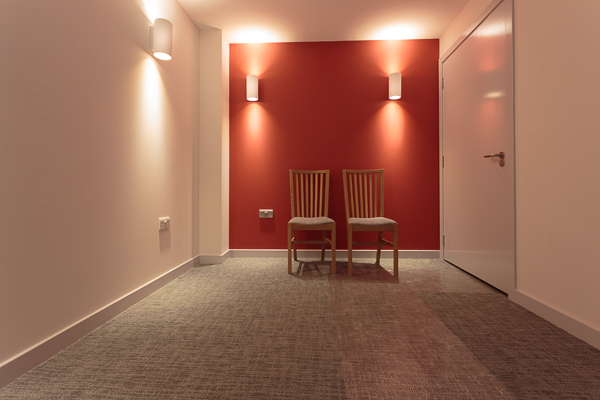 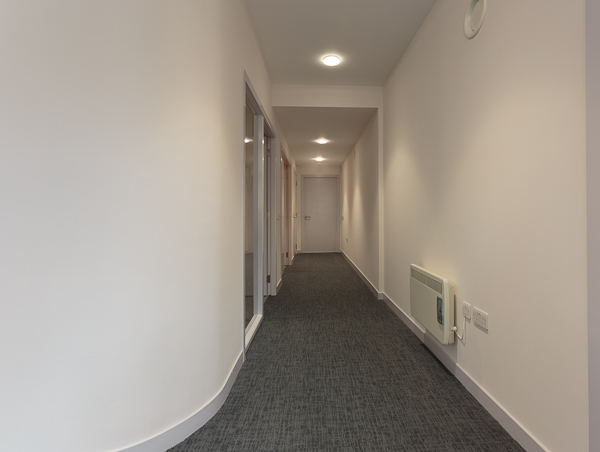 Pacific’s first project for Scotmid Co-operative Funeral Directors was the refurbishment of previously unoccupied premises in Main Street, Uddingston, Lanarkshire. 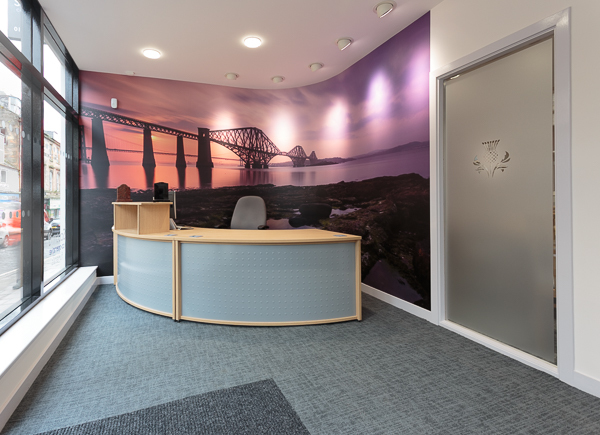 Just like the Uddingston branch, the use of quality, tactile materials and muted colours in Dunfermline results in a welcoming and reassuring atmosphere for the bereaved. 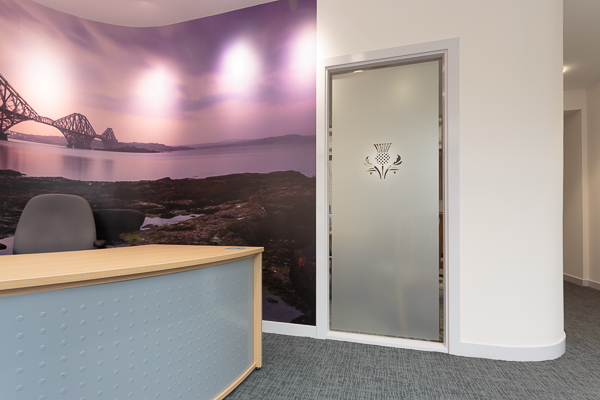 Scotmid Co-operative Funeral Directors are proud to be at the heart of the communities they serve and are committed to being open, honest, ethical and professional at all times. 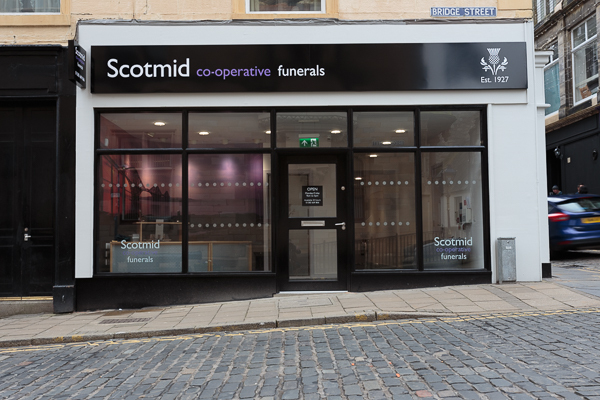 They are part of Scotmid Co-operative Society – founded in Edinburgh in 1859 – who have been carrying out funerals since 1927. 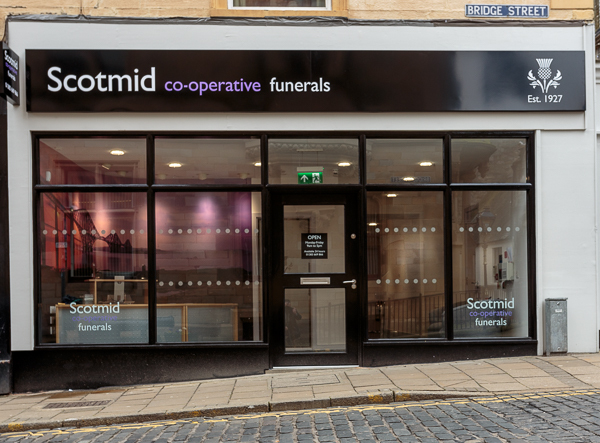 Find out more about Scotmid Co-operative Funeral Directors here.